Why you should visit Amritsar? 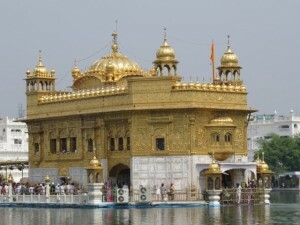 Amritsar is the home of the most beautiful Gurudwara, the Golden Temple. Amritsar has one of the most historically touching place, the Jalliyanwala bagh and Amritsar is the place for the best Punjabi dhabas. But what makes a trip to Amritsar a must is the Attari Border. I spent my last weekend in Amritsar. 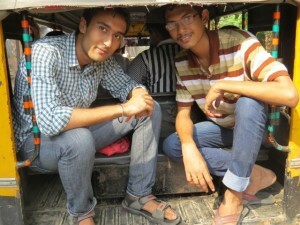 We stayed at Amritsar for a day. Amritsar has three main tourist attractions. The Harmandir Sahib (also Darbar Sahib) referred to as the “Golden Temple” is a prominent Sikh Gurdwara located less than a couple of miles from the Amritsar railway station. There are four doors to get into the Harmandir Sahib, which symbolize the openness of the Sikhs towards all people and religions. Try to reach there early morning as it gets pretty crowded by noon. The temple is surrounded by a lake which reflects the gold covered upper floors of Gurdwara when the lights are on. Next is Jalliyanwala Bagh which takes about an hour to visit. It is a public garden and a memorial that commemorates the massacre by British occupying forces of peaceful celebrators on the occasion of the Punjabi New Year on April 13, 1919 in the Jallianwala Bagh Massacre. The British sources placed the fatalities at 379, and with 1100 wounded. Civil Surgeon Dr. Smith indicated that there were 1,526 casualties. The true figures of fatalities are unknown, but are likely to be many times higher than the official figure of 379. 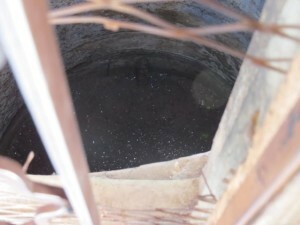 This is the well where the people jumped and died when trying to escape the bullet shots of the British. 1600 rounds of bullets were fired at. 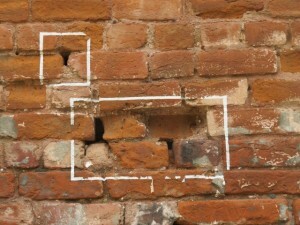 Even today, one can see the bullet marks on the walls. Amritsar is a foodie’s paradise. Bhrawan the Dhabba. It is one of the oldest dhabbas in Amritsar. It gets crowded at lunch and dinner timings. However their service is really quick so the rush should not be a problem. Kesari the dhabba is considered to be equally good but can be a little difficult to locate. 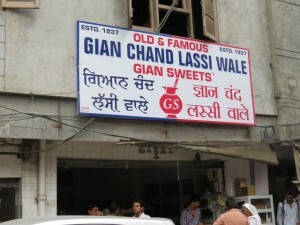 Once you feel that you can eat no more, head out a couple of blocks behind the dhaba to enjoy the best lassi you could ever have at Gyan Chand Lassi. (Some of the landmarks you could ask for directions are: Regent Cinema, DAV School). Beware of the autos misguiding you. It’s common in Amritsar for the auto drivers to say that the place where you intend to go is far away so that you go by their auto instead of walking. Amritsar is a pretty small city and you need not take an auto/taxi during your entire day. The lassi shop is half a mile away. Next is the Attari Border (or the Wagah Border). There is daily flag raising and lowering ceremony at Wagah Border, done with fascinating pomp and ceremony that involves lots of tall soldiers in massive turbans goose-stepping about and slamming gates. 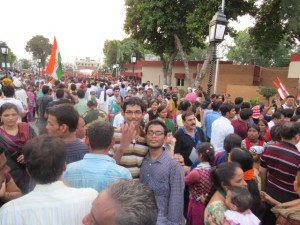 You can easily catch a shared auto/taxi for the 50 minute ride outside the Jalliyanwaha Bagh and the Hall market. As of September 2013, the shared auto costs ₹40 and the shared taxis cost ₹70 for one way. Make sure you do not pay them before they hit the roads. It is very common to collect the money and then they keep you waiting till the vehicle gets full. Also shared autos do not charge separately for the parking. Some important things to keep in mind. 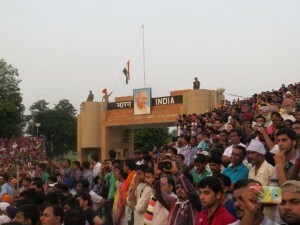 The ceremony at Wagah Border begins around 5pm. The gates open at 4pm. It is highly recommended to reach there by 3:30pm as security checks take significant time and the place gets really crowded much before the actual ceremony begins. Nothing can be a more satisfying experience than being one of the loudest ones to cheer and dance for your country. 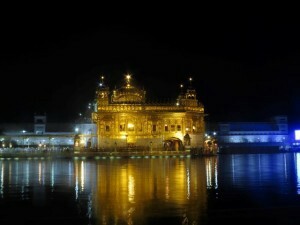 The trip ended with another visit to Gurudwara to see the beautiful reflection of the Gurudwara at night.